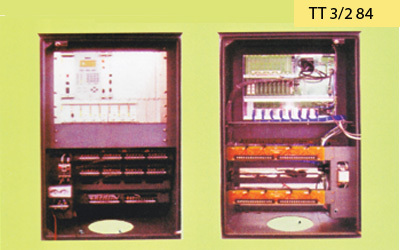 Traffic Signal Controller from Trafitronics is a microprocessor driven fixed Time Controller which operates with a set of predetermined signal plans. It has a modular construction with real-time memory, power fail monitor and battery backup. The signal plans stored in it include the 23 Signal Plan, Flash Plan, All Red Plan, 24 Cycle Plan, 4-Day Plans, Amber Plan and Weekly Plan. It can be synchronised with RS-485 interface and is also compatible with a PC and GPS interface.The other features of the product are a built-in date entry keyboard and system failure detection.